I join people of goodwill everywhere who are in mourning in the wake of the horrific attack in New Zealand. We send our deepest sympathies to the families and friends of those targeted and to all members of the Muslim community around the world and here in Maryland, who have been deeply shaken by this unconscionable act of terror. In the face of a rising tide of hate, bigotry and violent far-right extremism that seeks to divide us, we must stand united in solidarity with each other. I'm excited to announce I've signed onto the No Fossil Fuel Money Pledge. As the longest-running PAC-free Member of Congress in America, I know how important it is that we put the American public's interests over fossil fuel profits. 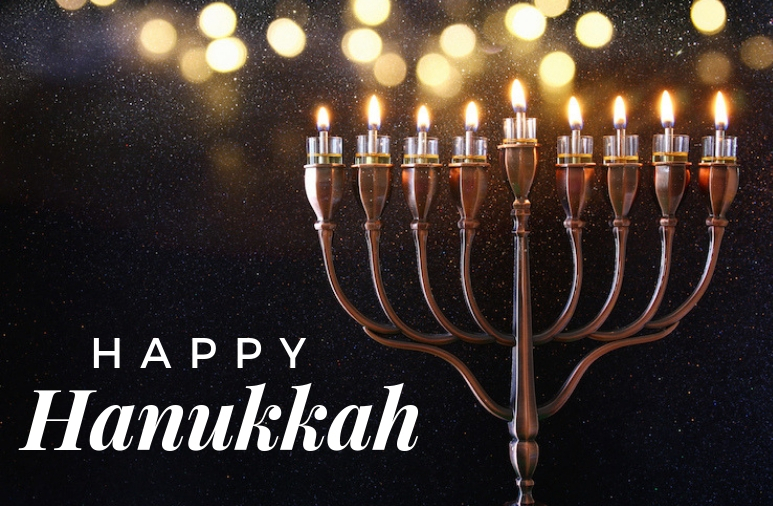 Wishing the Jewish community in Maryland and around the country a sweet and joyous final night of Hanukkah. Earlier this month, Americans went to the polls and sent a powerful message: The election not only was a resounding verdict against Republicans’ assault on Americans’ health care and wages, but it also was a vote to rescue our broken democracy. In the face of a torrent of special-interest dark money, partisan gerrymandering and devious vote-suppression schemes, voters elected a House Democratic majority determined to bring real change to restore our democracy. During the campaign, Democrats declared unequivocally that we would clean up corruption to make Washington work for the people. We pledged to reduce the role of money in politics, to restore ethics and integrity to government, and to strengthen voting laws. On this Veteran’s Day we commemorate our veterans, past and present, who served our country with dignity and honor. I have and will continue to support our country’s armed services. Thank you for powering me to re-election and for giving the gavel back to Democrats in the House of Representatives. With your vote and all the other ways you helped--putting up yard signs, chipping in a few dollars, or knocking on doors--you made the difference and I am deeply humbled by your support. For the last two years, our country--our democracy--has been sliding on loose gravel. On Tuesday, we found our footing. Now we go to work restoring checks and balances in Washington. The President's latest move dismissing the Attorney General shows why oversight is so important. You were the ones that restored that oversight and it is our responsibility to carry it out. Happy Election Day! I stopped at polling locations across the Third District today to thank voters for exercising their civic duty. It's an honor to receive The Capital's endorsement for my reelection campaign. 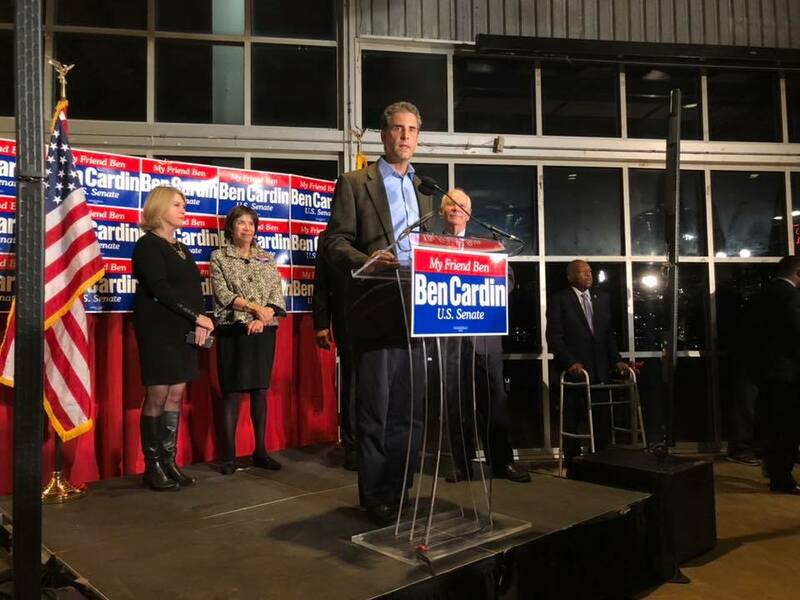 If elected to another term, I will continue to fight tirelessly in Congress for the communities in Annapolis, Anne Arundel County and across Maryland. You can read the entire endorsement here. Congressman John Sarbanes (D-Md.) today announced that the Maryland Department of the Environment will receive $2,044,659 from the U.S. Environmental Protection Agency (EPA) to help reduce nutrient and sediment pollution across the Chesapeake Bay Watershed. Funding comes from the Chesapeake Bay Program, a unique and successful partnership between the federal government, the District of Columbia and every state along the Chesapeake Bay Watershed to restore the Bay and protect its health for future generations. As Democrats push to retake the U.S. House of Representatives in November, government ethics and political reform have become an increasingly important part of their message. And that means an elevated role for Maryland Congressman John P. Sarbanes (D). Sarbanes is House Democrats’ apostle of political reform, the chairman of the Democracy Reform Task Force. He’s the architect of the party’s multi-pronged good government agenda. If the Democrats seize the majority, he will play a leading role in shaping the suite of reform bills that Democrats will try to advance through Congress. “I’m focused on trying to map out what a reform package would look like,” Sarbanes said in a recent interview in the Capitol, a few steps away from the House chamber, where votes were taking place. If Democrats win back the House in 2018, a consensus is emerging on what they need to do first: Pass a sweeping anti-corruption bill. One specific legislative package has emerged, largely crafted and sponsored by the chair of the Democracy Reform Task Force, Rep. John Sarbanes (D-MD). The agenda — recently formalized by a House resolution — is designed to rein in the influence of money and lobbying in Washington, expand voting rights in the United States, and increase public financing of campaigns. Democrats are prepping a final version of a bill to be ready to go if they are in charge by January 2019. Twitter’s Jack Dorsey is testifying in Congress. Democrats think it’s a waste of his time. Congress is wasting Twitter CEO Jack Dorsey’s time when it should be investigating the Trump administration’s wrongdoing, Maryland Democrat Rep. John Sarbanes told Dorsey at one of his two congressional testimonies Wednesday. Dorsey spent Wednesday fielding questions in the House about how Twitter’s efforts to combat dangerous information and misinformation shared on the social media platform is actually censoring conservative voices. Congressman John Sarbanes (D-Md.) joined more than 100 Democratic Members of Congress today in calling on Congressional negotiators to reject harsh and unfair work requirements for the Supplemental Nutrition Assistance Program (SNAP). Congressman John Sarbanes (D-Md.) today joined more than 170 House Democrats in demanding that Secretary Betsy DeVos prohibit the use of federal education funding to buy guns for teachers and school staff. The letter comes in the wake of a New York Times report that revealed the administration’s plan to allow schools to redirect federal education funding intended for services like mental health counseling in order to purchase firearms or firearms training. Congressman John Sarbanes (D-Md.) announced that the Baltimore City Fire Department will receive more than $6 million in grants from the Federal Emergency Management Agency (FEMA) to help hire, train and retain city firefighters. Congressman John Sarbanes (D-Md.) announced that the Howard County Department of Fire Rescue Service and the City of Annapolis Fire Department will receive a total of more than $100,000 in grants from the Federal Emergency Management Agency (FEMA) to improve fire prevention and safety efforts in Maryland communities. President Trump’s latest assault on our nation’s civil servants is part of an ongoing and longstanding attack on the federal workforce. By effectively reducing federal pay, the President will hamper efforts to retain and attract talented and qualified candidates to fill the ranks of America’s civil service. If the Trump Administration can afford a $1.5 trillion tax cut for millionaires, billionaires and wealthy corporations, then it can certainly afford a modest and hard-earned pay bump for the women and men who honorably serve our country. The party will focus on a culture of corruption, not the Trump administration’s wrongdoing. The narrative builds itself: The number of close Trump associates linked to criminal wrongdoing is growing, the first two members of Congress to endorse him are both under indictment, his cabinet has already seen two members resign over corruption allegations and Trump has never separated himself from his businesses, turning Mar-a-Lago into an invitation for bribery. And for armies of armchair campaign strategists, railing against the Trump administration’s corruption is a message Democrats can ride to victory in 2018 and 2020.